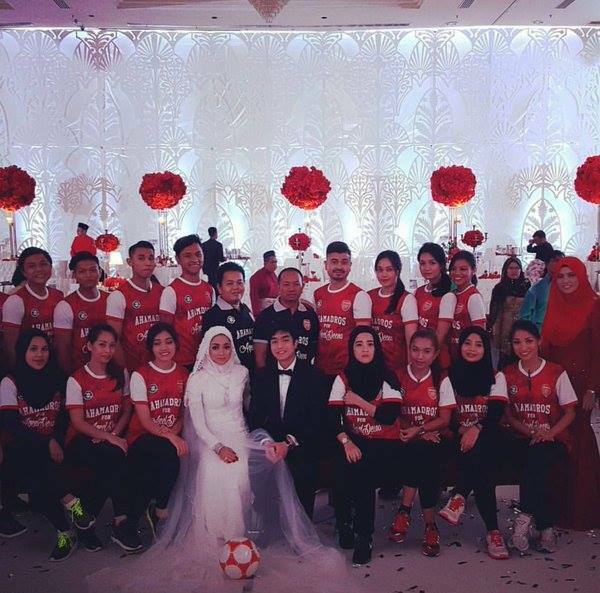 This Malaysian couple are real Gooners alright! 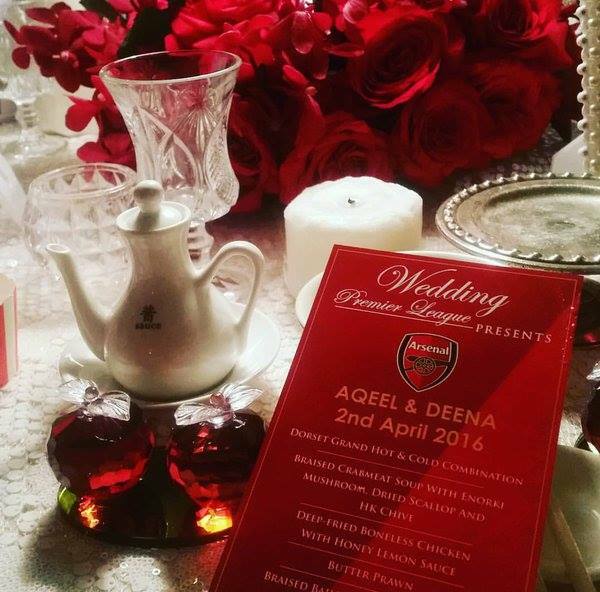 If having a complete Arsenal-themed wedding doesn’t show how much of a Gunners fan you really are, then we don’t know what will! The wedding pictures of the newly-wed couple, Aqeel and Deena, have made a couple of rounds on social media, even earning write-ups from U.K. news outlets like The Sun and Metro UK. 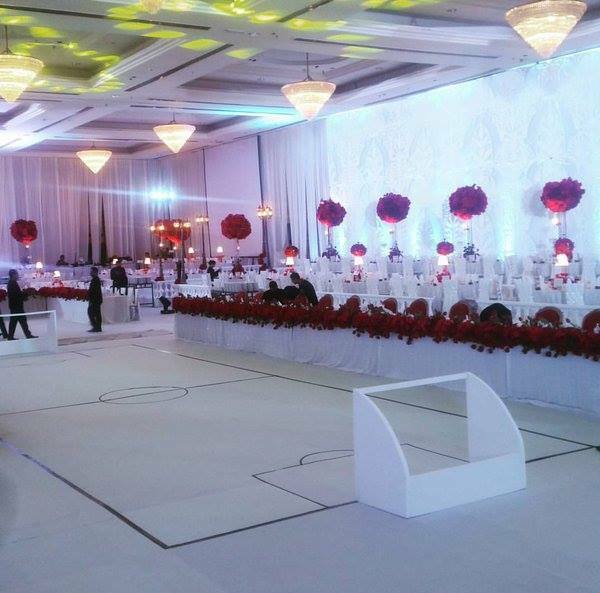 The photos show the wedding venue decorated in Arsenal colours like red and white, with the bridesmaids and groomsmen donning the Arsenal football jerseys. Everything was in accordance to the theme, except for the bride and groom whom both wore traditional wedding attire. We guess the couple wanted at least one part of their wedding to stay traditional! 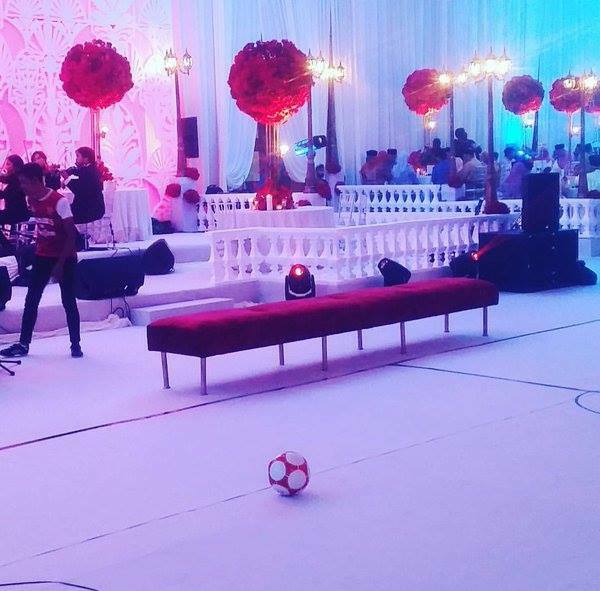 The football club crest can be seen on the wedding menu, and there was also a mini football pitch complete with mini goals set up on the ballroom floor, while football matches were being played though a projector in the background.